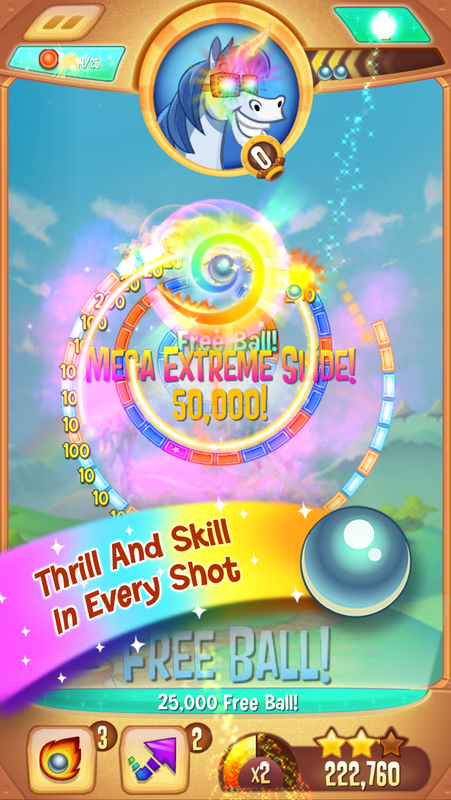 APP STORE EDITORS’ CHOICE Take your best shot with a blend of luck, skill, and joyous thrills in Peggle™ Blast! Clear the orange pegs as you rack up bonus points, and hit style shots that’ll make you smile for weeks. 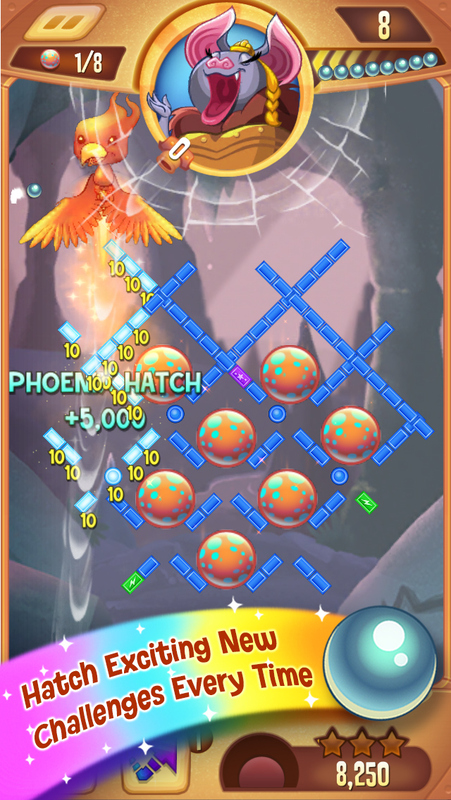 Learn from Peggle Masters and harness their powers to score big in peg-popping challenges. From the makers of Bejeweled™ and Plants vs.
Zombies™ comes the newest PopCap game, bursting with character, charm, and fun. Join the millions who adore the magic of Peggle. Aim for greatness! You may restrict in-app purchasing using your device settings. SIMPLE CONTROLS Bring the joy anywhere, anytime with easy-to-use controls and unpredictable gameplay. 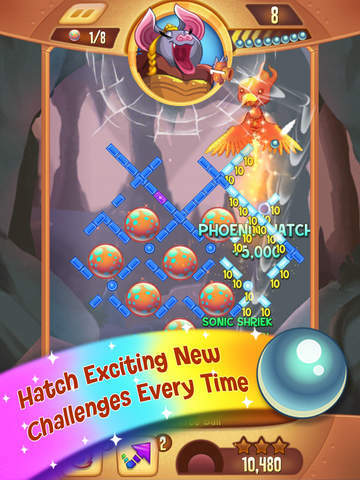 It’s an exuberant ball-and-peg blasting puzzler everyone can enjoy, but only the magical will master. SMILE-INDUCING TENSION Bounce your way to fun with every high stakes shot and mighty near miss. Pop orange pegs to reach the explosive joy of Extreme Fever. Compete against friends while you progress – and send them sparkling gifts! The action never gets stale thanks to peg-gooping gnomes, gem drops, time bombs, brilliant boosts, and triumphant rainbows. A FANTASTIC ADVENTURE Immerse yourself in an evolving, wondrous map full of glittering worlds, including Pearl the octopus’s sunken pirate ship and Madame Batrina’s cave opera hall. Win big and experience over-the-top reward moments, enhanced by a majestically dynamic soundtrack that sings with each shot. 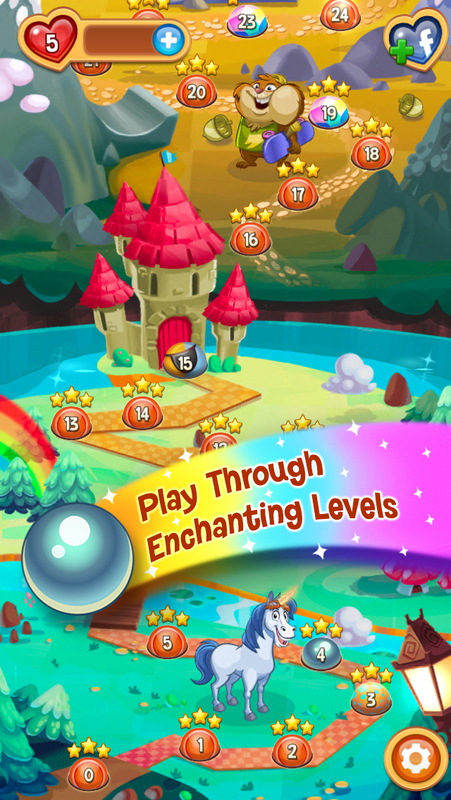 LEARN FROM MAGICAL MASTERS Meet mystical Peggle Masters and learn to use their extraordinary powers, like Bjorn the unicorn’s Super Guide, or Jimmy Lightning’s nuttarific multiball, to rack up legendary scores. Then test your skills with head-to-head matches against the Evil Master Fnord (Bjorn’s mischievous brother). Contains advertisements for EA and its partners. Hello, Blasters! 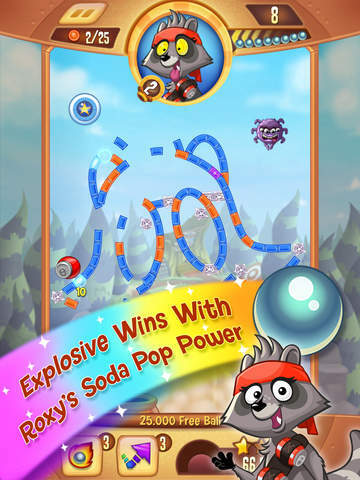 Meet latest master Roxy in 15 fabulous new levels. Plus, unlock special events to earn boosts and other rewards. We’ve also polished our stars and rainbows for an even better experience. ©2014 Electronic Arts Inc. Peggle and PopCap are trademarks of Electronic Arts Inc.